Domestic violence charges can result from a variety of types of incidents, however usually there are few witnesses, making it difficult for the police to determine what actually occurred. If you or a loved one have been arrested for domestic violence, you should speak with an experienced Orlando criminal attorney at your earliest opportunity to learn about your rights and the defenses that may be available to you. In recent years domestic violence has gained national attention. 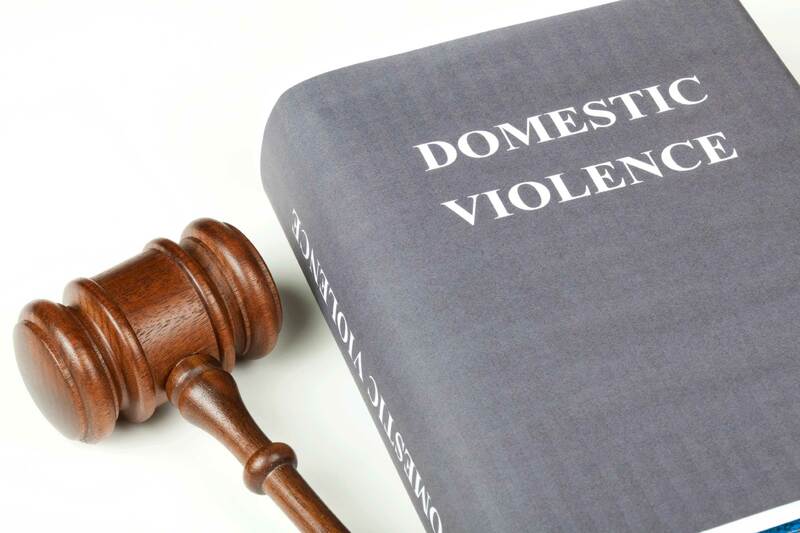 The state of Florida in its effort to address the issue of domestic violence has developed laws that pertain not only to the penalties for a domestic violence offense, but also to the handling of these cases by the Judiciary and the prosecutors. Because of these laws, and in certain situations the potential political or liability issues involved, minor instances can many times lead to an arrest. In some cases, individuals are arrested even when the victim does not want the person arrested or when there is no supporting physical or testimonial evidence. When an individual is arrested for a domestic violence crime, they will be held in jail “no bond” until they are seen by a judge who can impose special conditions of release. In almost all of these cases, the judge will impose the condition that the defendant either have “No Contact” or “No Violent Contact” with the victim. The judge will also usually restrict the defendant from returning to the residence of the victim except for one time accompanied by law enforcement to retrieve any belongings. Violations of any of these restrictions can lead to further charges and the revocation of the defendant’s bond. The no contact or return to the residence bond condition in some cases can cause an undue burden on both the victim and the defendant. Through a motion to modify the bond conditions, we are able get the bond restrictions changed or modified in many cases where victim wishes to have contact with the defendant. Until such time as this bond condition is modified, the defendant is not allowed to have contact with the victim, and violations of these restriction can lead to further charges and the revocation of the defendant’s bond. Speak with an Orlando criminal attorney today for more information about the no contact provisions of a bond in domestic violence cases. A common misconception pertaining to domestic violence is that the victim has the choice to drop the charges, but this is not the case. The State Attorney ultimately decides whether or not the charges will be dropped, and many times they will prosecute cases even when the victim wants the charges dropped. This is done by the State presumably to prevent future acts of violence against the victim or others. In certain cases, the State may even pursue incarceration of the victim if they fail to obey a subpoena to appear in court to testify against the defendant. In cases where the victim wishes to drop the charges, we will work with the victim to make the State Attorney aware of the their position. One of the ways we formally make the State Attorney aware of this is through a declination of prosecution affidavit. Speak with an Orlando criminal attorney today for more information. Battery – This is one of the more prevalent charges in domestic violence is that of battery. The crime of battery consists of a person actually or intentionally touching or striking another person against the will of the other; or intentionally causing bodily harm to another person. In some cases, the alleged crime may be that of a simple push which left no mark or physical injury on the victim. A domestic violence battery is punishable by up to 1 year in the county jail. Assaultwhich is punishable by up to 60 days in the county jail. Aggravated Assault which is punishable by up to 5 years in State prison. Aggravated Battery which is punishable by up to 15 years in State prison. False Imprisonment which is punishable by up to 5 years in State prison. Felony Battery which is punishable by up to 5 years in State prison. Stalking which is punishable by up to 1 year in the county jail. Tampering with a Witness which is punishable by up to 5 years in State prison. Violating a Domestic Violence Injunction which is punishable by up to 1 year in the county jail. There are also several additional consequences of domestic violence convictions that are not always associated with other misdemeanor or felony offenses, such as their right to possess or own a firearm or to expunge a criminal record. Speak with an Orlando criminal attorney today for more information about various domestic violence charges. 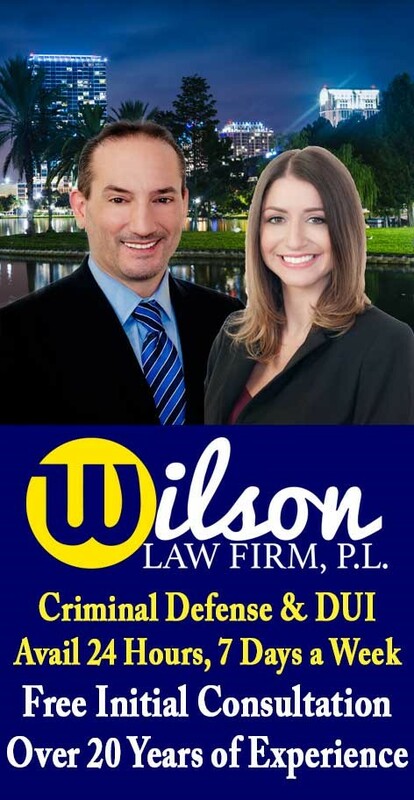 If you or a loved one have been arrested for a domestic violence crime, call the Wilson Law Firm today to speak with an experienced Orlando criminal attorney about your individual situation. In many domestic violence cases, a properly prepared defense by a domestic violence lawyer will result in either reduced penalties, reduced charges, or a dismissal of the charges. Domestic Violence Crimes – The Wilson Law Firm provides a free initial consultation with an experienced Orlando criminal attorney. Call us today to speak with an Orange County criminal lawyer about your rights.